There is no denying that ski is a very expensive hobby. And this is especially true in Switzerland, one of the most expensive countries in the world. First of all, you will have to spend a lot in order to get your ski equipment. But then, you will have to pay at each ski stations to use their ski lifts. And this is not cheap as well. 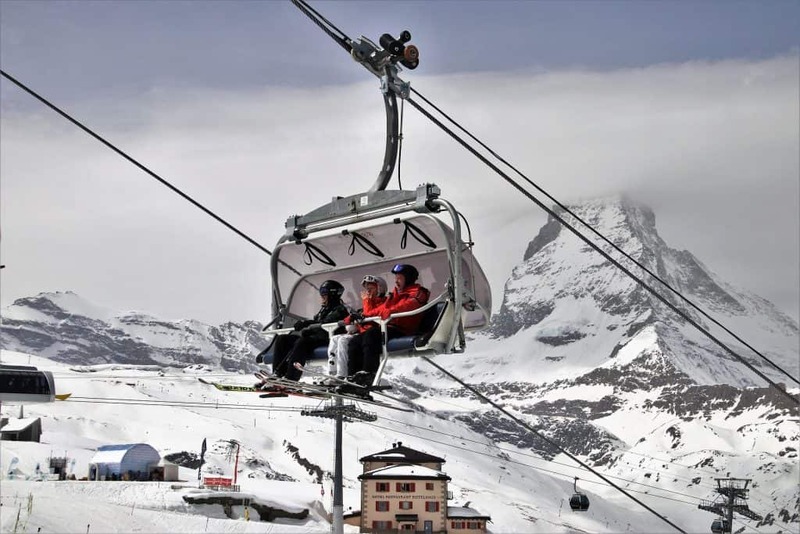 However, there are a few things you can do to ski for less in Switzerland. The ski season is almost over. But these tips can be very useful for next year. This is especially true if you are a beginner or you are teaching to a beginner. For instance, we have been able to ski for free with Mrs. The Poor Swiss at the beginning. 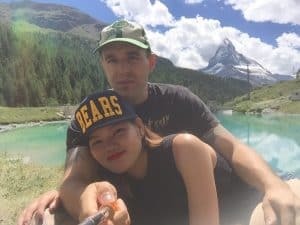 In this post, we are going to see X techniques that will help you ski for less in Switzerland. If you know other tips, I would love to hear about them! One thing that is great in many Swiss ski stations is that you can use learning slopes for free! These slopes are made for children to learn skiing. The generally have very slow machines to help you up the slope. All the small stations I know that have such slopes offer them for free. Most of the time, there is not a lot of people there. These slopes are perfect if you are a full beginner. That is where we went with Mrs. The poor Swiss on her first days of skiing in February 2019. Depending on how fast you learn, you can probably ski for between one and five days for free with this! If you do not know if a station offers these slopes for free, you can contact them and they will tell you! 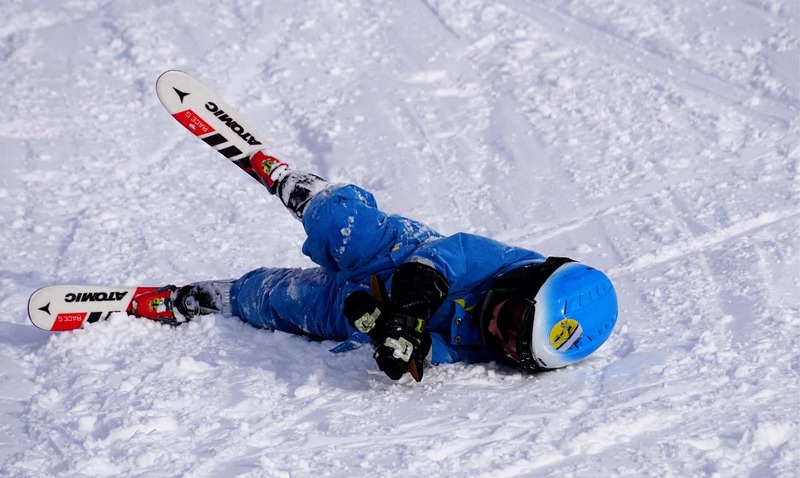 There is no need to pay a large amount of money to learn ski! 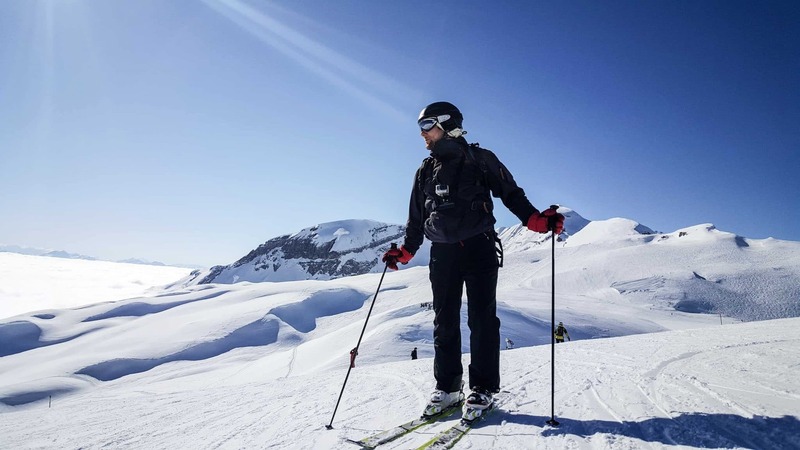 Ski stations want many people to learn to ski to make them new customers! In all the stations I know, children under the age of 6 can ski for free! There may be some stations were you have to pay. Just take a look at stations where children do not pay and go there to ski with your young children! 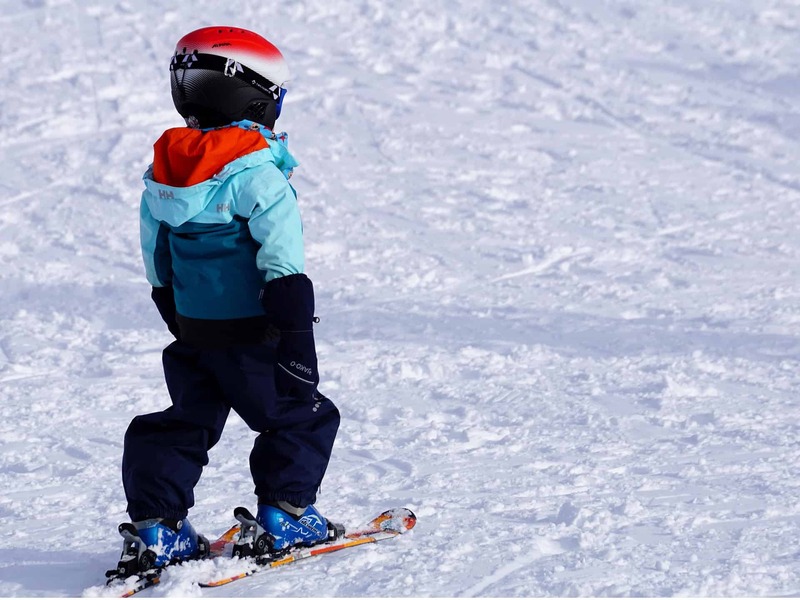 If you are teaching your kids to ski, you only need to pay a pass for you. And since you are teaching, you will not have to go up many lifts. So you can also consider my next advice to pay even less for you! Another thing that can help you ski for less is to use a points card instead of a daily card. Most stations offer these cards. You are buying some amount of points. And every time you use the ski lift, a few points are removed. And these cards are generally valid for several days. Most people completely ignore these cards. But they can be a great cheap option even for multiple days. This is especially true if you are skiing with beginners. When you are starting, you are not skiing fast and it takes you longer to go down than to go up. When you spend most times on the slopes, these cards can be a very nice bargain. For instance, me and Mrs. The Poor Swiss did a ski weekend using only these cards. We paid 37 CHF each for a 70 points card. After two days, we both still had some points on our cards. We could have gone for three days with our cards. If we would have both taken a two days pass, we would have spent 138 CHF. This is 64 CHF saved, almost 50%! Points cards are often a bargain when you are slow. There are a lot of ski stations in Switzerland. There are some famous ones like Zermatt, Gstaad or Glacier 3000. But there are also many nice stations that are not that famous. There are some stations where you would probably not like to spend several days. But I think that most stations are actually worth spending one day there. Even small stations are quite nice for a day or a half day. There are huge discrepancies in price. If you want to ski for less, you need to do your research. For instance, here is a list of more than 150 ski stations and the price for a day. One day ranges from 10 CHF to 85 CHF. In that case, the cheapest one has only one ski lift. But it could be enough for a few hours of learning to ski. And if you go a single day, you do not 300 kilometers of slopes. If you are going to ski at the same station for several days, you should always take multiple days passed. The only exception would be if you can take a points card. All stations offer a nice discount if you take several days directly. There is also the advantage of not having to go to the ticket office every day, which is quite good. For instance, let’s take one of my favorite ski stations, Les Mosses. The daily pass cost 55 CHF. The pass for two days only cost 69 CHF. So if you go a full weekend, you can save 41 CHF by taking a two days pass. For six days, the pass will cost you 184 CHF. This is 146 CHF cheaper than taking 6 daily passes. It is very important to consider multiple-days cards instead of daily passes. 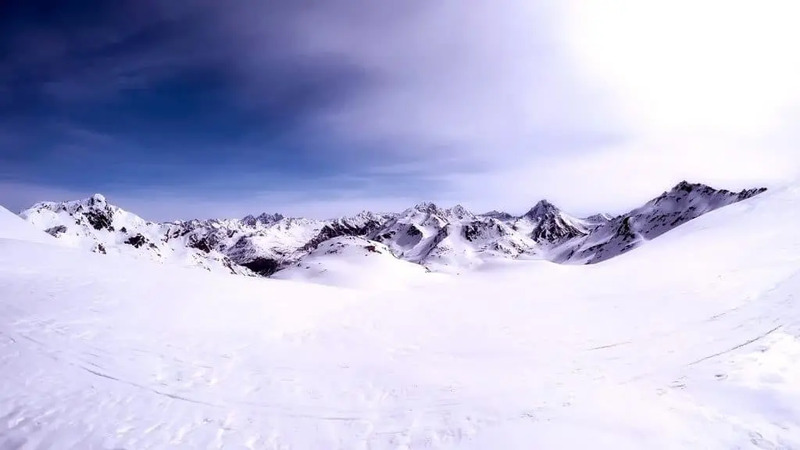 Who would not want to ski in Switzerland? If you want to go to many different stations, a great option is to purchase the Winter Pass. This pass gets you a 50% discount on a day pass in 16 ski stations in Switzerland. And it only cost 39 CHF. This is quite awesome! You can use it only once at each station. But with an average of 50 CHF for a daily pass, you only need to go to two stations to make it worth. And if you go to all 16 stations, you will save 400 CHF, for only 39 CHF investment. I think it is a great option. Even if you only go to a few stations, this is already a good way to save money. There are two kinds of seasons pass if you intend to ski a lot. The first kind of pass is the station seasons pass. It means you can ski for the entire season in the same station. They can be a good bargain if you intend to ski a lot in the same station. Honestly, these are rarely very good bargains. You need to go really many days in the same station to make it worth. For instance, the closest ski station to my home, La Berra, offers a season’s pass for 450 CHF. Since the daily pass is 39 CHF, you would need to ski at least 12 days in this station to make it worth. But this is a tiny station. Even though I have always lived close to this station, I cannot remember a single year where I went more than 10 times to it. For some bigger stations, it can be worth it. But you need to do your math. And do not forget to compare with multiple days card if the ski station offers them. Snow Pass Valais Unlimited: This pass gives you access to all ski stations of the state of Valais. This is a lot of stations, including the famous Zermatt. However, it is really expensive at 1850 CHF per adult. You would need to go many days in many stations to really make it worth. SuperPass: This pass gives you access to Gstaad ski stations and many stations around it. This is also a lot of stations. But once again, it is very expensive, at 1170 CHF per adult. There are other passes like this, these are only examples. However, these passes are very expensive. If you are an avid skier and you go skiing several times a week, they may be worth it. But for most people, these passes are not worth it. The Magic Pass is a recent pass, offered since 2017. The idea is to make skiing cheaper. And it is an awesome offer! It gives you access for the entire season to more than 30 ski stations! And it only cost you 399 CHF. This is cheaper than most ski station’s season pass. In fact, after they started offering this, several other season pass stopped because they were more expensive and less interesting. If you intend to ski a lot in many different stations, this is really the best available option for you. 399 CHF may seem a lot, but if you count a day at an average of 50 CHF, you only need to go skiing eight days in a year to make it interesting. And many people are going skiing more than that each year! As you can see, if you are willing to put in the effort, there are many ways to ski for less in Switzerland. It probably will not come cheap. But it will be affordable for most people. Learning to ski is actually almost free in Switzerland. That is if you do not have to pay for a teacher. So many people are skiing in Switzerland, it is not difficult to find a teacher in your friends. Then, you can use learning slopes for free. And when you are ready to move to bigger slopes, you can still use cards point since you are going to do very few slopes in a day. Once you are getting faster, the best way to save money is to take multiple-days pass instead of several daily passes. If you are really motivated, you can also opt for seasons pass. And do not forget about multiple ski stations pass. Do you know any other tip to save money on skiing in Switzerland? Did you use some of my tips? Next Next post: S&P 500 Index – Invest in 500 companies at once!